University of Pittsburgh Visiting Scholar Casey Monaghan created the article about Pittsburgh architect and musician Robert Schmertz. In November, it was promoted to Good Article status, a designation of quality achieved by less than .5% of Wikipedia entries. Schmertz donned the outfit to poke fun of the United States Navy’s traditional attire. He was pretending to recruit outside of a movie theater as part of a fraternity initiation ritual. He was arrested for “mocking the uniform.” The charge was later dismissed. Known for his folk music, Schmertz’s songs have been covered by Pete Seeger, Burl Ives, and other notable performers. The image of Schmertz is one of several that Casey has uploaded. He’s also been mining from University of Pittsburgh collections. William W. Irwin and William J. Howard are just two more of the dozens of articles about Mayors of Pittsburgh that have portraits from the library’s Historic Pittsburgh collection. See this gallery on Wikimedia Commons for more, including the historic illustration of Fort Pitt, shown above. Interested in sponsoring or becoming a Visiting Scholar? See the Visiting Scholars page on our website for more information about the program. 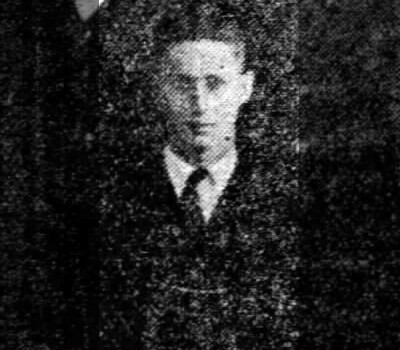 Photos: “Robert Schmertz, 1919” by Unknown – Staff of “The Thistle” Year Book of Tech. The Pittsburgh Gazette Times. Second section, page 7. May 11, 1919.. Licensed under Public Domain via Commons. Header: “Fort Pitt, Pennsylvania, 1759” by Pittsburgh Photo Engraving Co.; unknown artist – White, Edward, and Lucas, De Witt B. 150 years of unparalleled thrift: Pittsburgh Sesqui-centennial chronicling a development from a frontier camp to a mighty city; official history and programme. 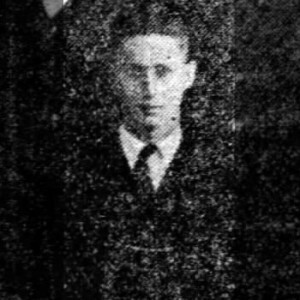 1908. p. 2. Immediate source: Historic Pittsburgh digitization. Licensed under Public Domain via Wikimedia Commons.